The Great Exchange is that wonderful one-sided trade of our sins, inadequacies, and numerous failings for Christ’s forgiveness, sufficiency, and triumphal victory. The greatest of all exchanges happened on Calvary’s Hill, Jesus Christ who was truly innocent and without sin, took upon himself all our petty selfishness, deep rebellion, and soul-rending brokenness and then substituted his perfect righteousness, unfailing forgiveness, and spirit-renewing healing. The exchanged life is not a one time event, but a life lived on a daily basis by faith. Each day, the Gospel reminds us that we are forgiven in Christ because of his most gracious grace (2 Cor. 5: 21; Gal. 2:20). Everything that we know and appreciate and praise God for in all Christian experience both in this life and in the life to come springs from this bloody cross. Do we have the gift of the Spirit? Secured by Christ on the cross. Do we enjoy the fellowship of saints? Secured by Christ on the cross. Does he give us comfort in life and death? Secured by Christ on the cross. Does he watch over us faithfully, providentially, graciously, and covenantally? Secured by Christ on the cross. Do we have hope of a heaven to come? Secured by Christ on the cross. Do we anticipate resurrection bodies on the last day? Secured by Christ on the cross. Is there a new heaven and a new earth, the home of righteousness? Secured by Christ on the cross. D. A. Carson, Scandalous: The Cross and Resurrection of Jesus (Wheaton, IL: Crossway, 2010), 70-71. This entry was posted in D. A. Carson, Exchanged Life, The Cross and tagged D. A. Carson, Exchanged Life, Holy Week, Penal Substitution, The Cross on September 15, 2014 by GlennDavis. Blessed is the King who comes in the name of the Lord! Peace in heaven and glory in the highest! On Sunday of Holy Week, Jesus entered Jerusalem on a colt, the foal of a donkey, in fulfillment of the Old Testament prophetic word (Zech. 9:9-12). 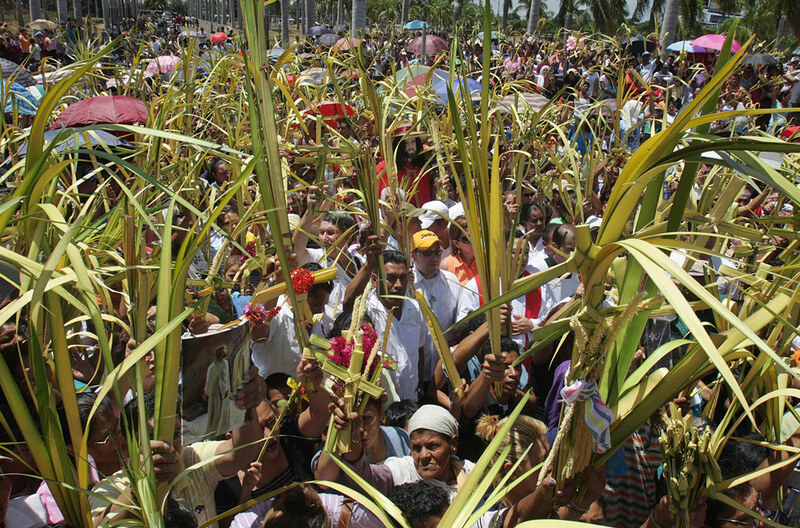 This unique day will be called Palm Sunday in the Christian calendar and is often referred by commentators as Jesus’ triumphal entry (Matt. 21:1-11; Mark 11:1-1; Luke 19:29-40). Archbishop Craig Bates of the Charismatic Episcopal Church (C.E.C.) 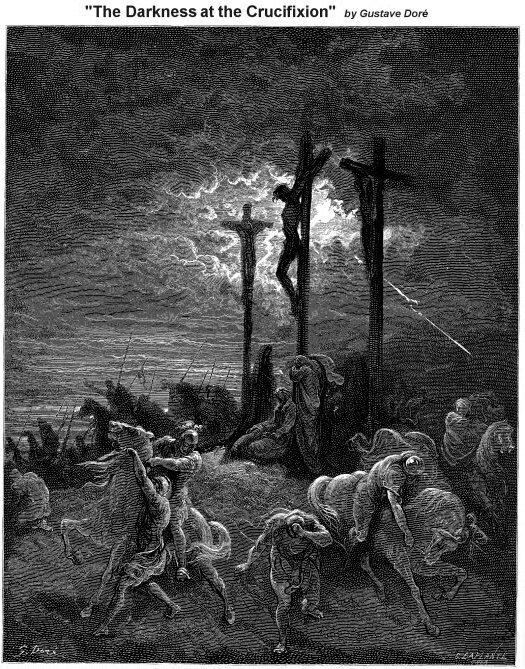 wrote, “The triumph however is not because the crowds declared Him King but because He was to take upon Himself the sin and suffering of the people and win the victory when God raised Him from the dead.” Jesus’ entry was a triumph not because all of Jerusalem turned out for the parade giving him the red carpet treatment, but because his death, burial, and resurrection in Jerusalem would defeat our greatest foes: the world, the flesh, sin, death, and the devil. On that fateful day, and during the coming week, the inhabitants of Jerusalem would face a choice: demand that Jesus be Israel’s earthly king elevating the country to renewed worldly glory, or repent recognizing that their real problem was a heart problem. Israel’s real need was not deliverance from the Roman oppression, but a deliverance from themselves. Their selfishness, sin, and pride was bringing about the destruction of Israel’s life in God, not the hated Romans. The resurrection of Israel’s glory under King David and Solomon would not bring salvation, only the work of the Holy Spirit could restore Israel’s hope in God (Ezek. 36:26-27). Holy Week reminds us once again that our problem is not others’ sin, weaknesses, and frailties. Our biggest problem is us and only by turning to Jesus can our lives be transformed. We must recognize that our essential problem is not our parents, our economic background, our upbringing, our circumstances, or our bosses, etc. No, our greatest problem is us that great trinity of me, myself and I. Our selfishness, our self-absorption, our self-concern, and our self-conceit reap utter destruction. Sin is selfishness evidenced through our willful thoughts, words, or actions involving a choice in which we consider ourselves as more important than God or anyone else. The foundation of sin is our selfishness. Jesus rode that colt over the Mount of Olives into Jerusalem for the purpose of dying on the Cross. He died that we might be freed from ourselves (2 Cor. 5:14-15; Phil. 2:5-11). He came to conquer out deepest need: selfish, greedy and prideful hearts. Jesus’ death on the cross transforms our lives: he bears our sin, shame, and guilt away. 1. Do we want a Jesus who comes to fix our problems or do we want a Saviour to change our hearts? “Hosanna, save us” (v. 10). What we need most is not a deliverance from our circumstances (i.e., enemies, problems, relationships, etc. ), but a salvation from ourselves (i.e., our selfishness, pride, demands, etc.) We tend to play the victim when what we need is repentance and a change of heart. 2. Do we worship Jesus even when the crowd does not understand? We live in a secular culture that is becoming increasing hostile to the Gospel, our culture wants to make Jesus into a postmodern, super-tolerant, pluralistic image of themselves. What happens when Jesus demands to be Lord, when he declared himself to be the exclusive savior of the world, what happens when he bids us to come and die to ourselves and follow him? 3. Do we or will we only follow Jesus when life is going well? Where will we be on Good Friday when it seems that all that Jesus has taught and said is evaporating before our eyes? Will we trust him even when our world is crashing down around us. Will we trust his words and promises that death will not hold him down. 4. Do we understand that only political fights will not resolve out greatest needs? Our culture needs changed hearts in order to value marriage, sexual morality, and religious freedom. Conclusion: Will we accept the challenge? Allow Jesus to be Lord of our lives or go the way of the offended, angry world. The same world of expectation, resentment and fear that placed Jesus on the Cross. Jesus went to Jerusalem to announce the Good News to the people of that city. And Jesus knew that he was going to put a choice before them: Will you be my disciple, or will you be my executioner? There is no middle ground here. Jesus went to Jerusalem to put people in a situation where they had to say yes or no. That is the great drama of Jesus’ passion: He had to wait upon how people were going to respond. 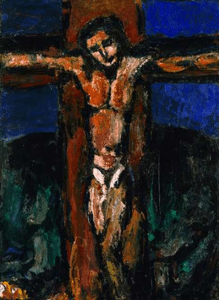 This entry was posted in Jesus Christ, Liturgy, Palm Sunday and tagged Henri Nouwen, Holy Week, Jesus Christ, Palm Sunday, Triumphal Entry on April 12, 2014 by GlennDavis. And when they came to the place that is called The Skull, there they crucified him, and the criminals, one on his right and one on his left. Holy Week is the most wonderful week of the year. The week that changed the world. The week that changed history. The week that changed all of us. The week that changed me. Maundy Thursday: God incarnate, Jesus Christ, washes feet. God displays by his actions that there is nothing too menial that he will not do in order to serve us. He calls us to do the same: serve others. Good Friday: This Friday is good above all others. Good Friday is not a funeral or a memorial. Good Friday is God’s victory over all our enemies: the world, the flesh, sin, death, and the devil. Holy Saturday: Saturday from a human perspective is a day of desperation and discouragement, but this day is actually the day of Hell’s vanquishing. Saturday is the ultimate paradox. Resurrection Sunday: Jesus’ victory on Friday is declared to the world on Sunday. Hope is poured forth upon us. Hope is the confident expectation that the good things that God has promised, he will bring to pass, and he has brought to pass life eternal in his presence. This entry was posted in Church Calendar, Prayer, The Cross and tagged Holy Week, Jeremy Taylor, Liturgy on April 4, 2012 by GlennDavis. 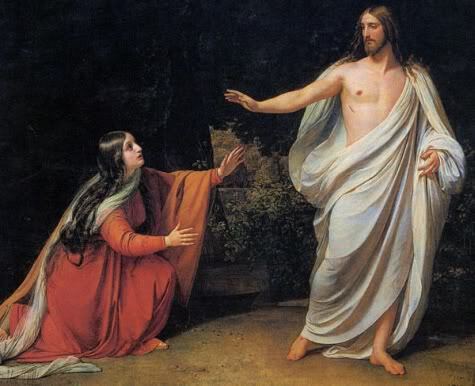 Holy Saturday commemorates the day that our Lord Jesus Christ was in the tomb. Jesus in his life lived every aspect of our existence and now in his death; he indeed experiences the same separation of soul and body that we will experience upon our passing. Many theologians believe that on this day, Jesus enters into Hell and defeats the forces of darkness. He conquers its grip upon our lives. Today is the time of waiting for the victory of God to be manifested to the world. Holy Saturday is to be celebrated in quiet and meditation. Today is a day of silence, and yet the work of salvation, of deliverance from the curse and its effects, continues. We can see the work of salvation on the cross and we see it in the empty tomb, but neither of those means anything without the three days in the belly of the whale, in the womb of death, from which he must emerge. Today, God is, as it were, silent but he is not asleep. The tomb is ugly, but it is also sanctus. Today is the in-between time. The first act is finished but the curtain, though torn, is not closed. This entry was posted in Liturgy, Resurrection and tagged Holy Saturday, Holy Week, Resurrection on April 23, 2011 by GlennDavis. The greatest fear all people fight is the fear of dying. In a society which marginalizes the ugly effects of death, we find it hard to believe that the fear of death is life’s greatest struggle. Most of us have never seen a decaying body or have rarely seen an individual move from this life into eternity. Most of our relatives have died alone in nursing homes or hospitals. Our funerals are quick and pristine. Our mourning is quiet and withdrawn. We use euphemisms like “passed away” or the “late” John Smith to avoid using the word, “death.” As a society, we attempt to ignore death, but death is our ever present reality. In spite of the cover-up, death remains our greatest fear. The fear of death is the controlling factor behind most people’s decisions, choices, and actions (Heb. 2:14-15). The Bible says that we were not created to die. Our existence was meant to be eternal, part of being made in the image and likeness of God (Gen. 1:26). We were designed to live forever. However, the Fall changed everything. Death entered this world through sin. Death is an aberration created by sin’s awful effect on creation (Rom. 6:23). Therefore, death is our greatest enemy. Death separates relationships. Death is deterioration and decay (not a pretty sight). Death causes hurt, pain, anguish, and grief. We were not wired for death. However, Christ came to deliver us not only from the fear of death, but from the effects of death itself. The resurrection of Jesus was not simply a coming back from the dead, but a transformation in which Jesus’ material body was made perfect and complete: free from sickness, weakness, decay and aging. By coming back from the dead by the power of the Spirit (Rom. 8:11), Jesus Christ shattered death’s grip and made the way for us to live in eternity with him (1 Cor. 15:20-22). At the Second Coming of Christ, we too will be given glorified, physical bodies ready to live life in eternity in a “new heavens and a new earth” (2 Peter 3:13). Spirits that are resident in heaven will be rejoined to their glorified bodies and we will live as we were born to live eternally. This new Jerusalem will be a place that is without death, weeping, sickness, and pain (Rev. 21:1-4). The resurrection of Christ not only overcomes our fear of death, but destroys the power of death by loosing Satan’s grip, thereby defeating our greatest foe (1 Cor. 15:26). Christ came that he might slay sin, render death null and void, and give life to men. He was made flesh in order that He might destroy death and bring us to life, for we are tied and bound in sin. If we believe in Christ, let us have faith in His work and promises; and since we shall not die eternally, let us come with glad assurance to Christ, with Whom we are both to conquer and to reign forever. This entry was posted in Early Church Father, Easter, Resurrection and tagged Early Church Fathers, Easter, Holy Week, Resurrection on April 17, 2011 by GlennDavis.